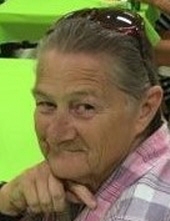 Mary Elizabeth Krout, 75 of York passed away Sunday, March 10, 2019. Mary was born in Maryland on June 21, 1943 to the late Henry Abraham and Mary J. (Bailey) Krout. Mary worked briefly at the YMCA and Danskin, but mainly she was a homemaker and she enjoyed babysitting, sewing, housekeeping, spending time with her daughter, grandchildren and great grandchildren. Mary loved to laugh, eat out at restaurants and going to Casino’s. Mary’s smile was contagious and when she laughed it came from deep within. Mary leaves to cherish her memory a daughter, Connie Jo Krout; 4 grandchildren, Kaniesha Krout, Tiffany Krout, Tosha Krout & Caleb Krout; 4 great grandchildren, Cameron Virola, Ashton Virola, Michael Jones III, and Aaliyah Beverley and a host of other family members and friends. A Memorial Service will take place Tuesday, March 19, 2019 at Christ Concepts Ministries, 116 S. Queen St., York PA 17403 at 2:00PM. The family will receive friends at 1:00PM at the church. To send flowers or a remembrance gift to the family of Mary Elizabeth Krout, please visit our Tribute Store. "Email Address" would like to share the life celebration of Mary Elizabeth Krout. Click on the "link" to go to share a favorite memory or leave a condolence message for the family.